Currently, we are praying for adults to answer God’s calling to be Sunday School teachers and serve in this capacity at Beachside. If you want to encourage children to foster friendships, learn about Jesus Christ, and enable them to share Christ with others – serve as a children’s Sunday School teacher! Contact the pastor. 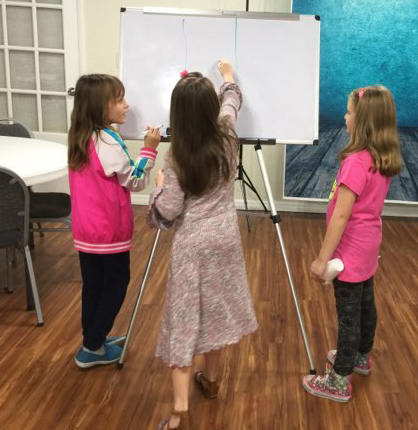 The Children’s Department at Beachside Baptist Church focuses their Sunday School class curriculum around Bible-based stories that are fun and memorable. Each lesson is packed with content to reinforce the Gospel message. Your child will enjoy activities, games, singing and crafts, all which focus on a wide range of Bible stories and lessons about Jesus Christ. Parents are encouraged to get involved, as we believe that every parent should be involved in the dicipling of their kids. Parents are encouraged to discuss the lesson with the Sunday School teacher after class so that they will know what their kids are taught and can reinforce the lesson with any home-based activity. The classes are fun and enjoyable, and your child will be anxious to return week after week. 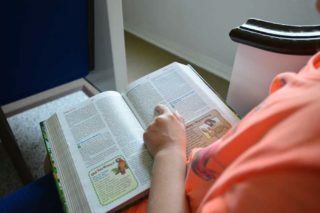 Our teachers are highly qualified and love the work they are doing within the Children’s Ministry. If you have any questions about the Children’s Department or would like to volunteer and help other children learn more about the Lord, please contact us. Children ages 4 through 4th grade are welcome to stay with an adult during the Sunday worship service. However, they may opt to attend Children’s Church instead. A special service is held for children which begins after the special music during the regular worship service. Children are led out of the sanctuary by one of our team leaders in a classroom for their very own worship time! In Children’s Church, we do the same things as adults do in their worship service. We sing, read the Bible, learn a valuable lesson and pray. When time permits, we make crafts and occasionally have a snack. If your child has any allergies, please let us know before Children’s Church begins. Beachside Baptist Church Nursery is open during worship services each Sunday morning/evening and Wednesday evening. Children from age birth to 3 years of age will be cared for by a qualified, loving volunteer. For the older children, activities may include coloring, games, and play-time focused around Bible stories. Infants are tended to with the utmost attention to their needs. Parents can rest assured their little angels will be well cared for while in the nursery. We count it a blessing to watch over them during your time of worship.